When accuracy, speed and quality are important, the Canon imageFORMULA CR-190i offers an ideal solution. Advanced features like MICR supported by OCR ensure consistent batch scanning of cheques, vouchers and coupons. 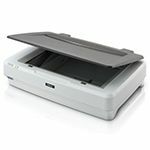 The imageFORMULA CR-190i has been designed to offer banks and retailers fast, efficient and reliable scanning. 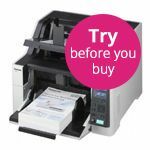 With speeds of up to 190 cheques per minute, the CR-190i is ideal for batch scanning, while its ultrasonic double feed detection reduces misreading and omissions. These features will help to increase productivity and efficiency in your back office workflows. MICR supported by OCR ensures a high standard of image reading. 99.9%* MICR read accuracy helps prevent costly errors by making sure that cheque data is read first time - before originals are removed from circulation. Fine Text Filtering captures images accurately, even from documents with patterned backgrounds, to ensure best quality. 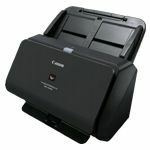 The CR-190i's high-volume document feeder accepts up to 250 documents at a time; while its built-in jogger assures continuous jam-free scanning. 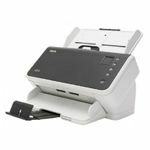 Compatibility with a wide range of non-cheque documents like envelopes, retail vouchers and marketing coupons makes the CR-190i ideal for busy banking and retail environments. 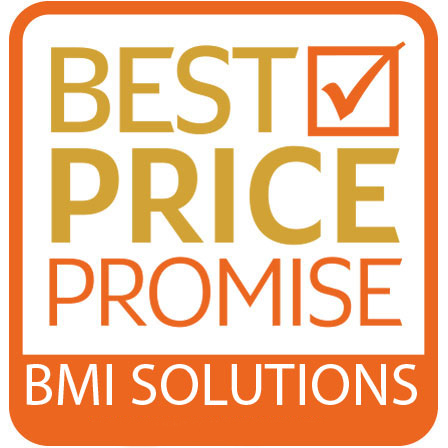 A 4-line built-in imprinter for high-quality bitmap images and text gives you a flexible choice of imprinting capabilities. With the activation of the SDK, the CR-190i can dynamically print using MICR results in one motion, therefore improving productivity. Side opening makes maintenance tasks like cartridge changes, paper jams and cleaning simple to accomplish. Simultaneous driver and firmware updates reduce the time required for routine maintenance; while a useful logging tool helps you troubleshoot issues quickly and accurately - keeping downtime to a minimum. 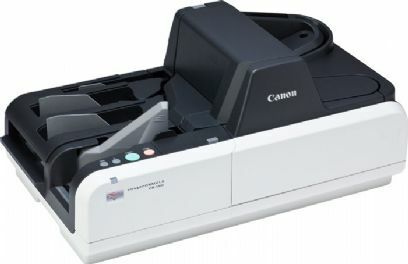 The bundled Canon Scanning Utility application offers scanning, file saving and image viewing. For maximum flexibility, CR-190i supports three types of SDK, while Silver Bullet Technology's Ranger Transport API software allows the CR-190i to be easily integrated with new or existing systems. The CR-190i meets RoHS Directive requirements, while ENERGY STAR compliance helps you fulfil your CSR and energy reduction objectives.